AFP was founded by Katherine Atkinson MD in 2005, and the new Atkinson Building was constructed in 2012 to meet Dr Kate’s dream to create an integrative medical-behavioral family practice . 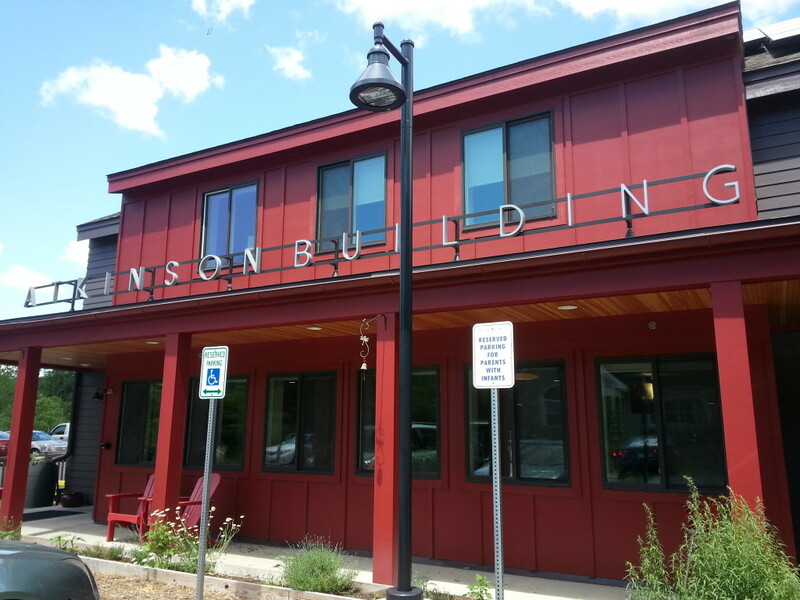 The Atkinson Building is unlike any other primary care office in the region. Dr. Kate’s vision when designing the building was an office that would be comfortable, safe, and accessible, and to avoid the typical “sterile” feel of medical practices. She wanted the spaces to encourage collaboration between medical personnel while ensuring privacy in the exam rooms. Dr. Kate has always been a strong advocate for the holistic care of her patients, and even brings her two therapy dogs, Ginger and Loki, to work with her every day to provide comfort and a friendly, furry face to usher patients in to the building. When creating AFP, Dr. Kate also created “Dragonfly Integrative Care.” Integrative Medicine balances a science-based approach to focus on holistic wellness, health, and lifestyle changes to achieve optimal health – and AFP combines that with an attitude of fun, compassion, and openness. At AFP, primary care occurs at the main level, but there’s a lot more going on under the roof. Upstairs, AFP offers a range of therapy options – nutrition, psychiatry, psychology and social work – as well as sports medicine, cardiology, diagnostic lab, and it’s growing. Here, you’re more than a patient; you’re part of our family. Having subspecialists on-site helps us to coordinate care, avoid unnecessary testing and treat the ‘whole person’. Promote the health of our patients by providing innovative, highest-quality, comprehensive, personalized health-care. Serve as a ‘medical home’ for patients by coordinating, managing and integrating the various aspects of their health to ensure comprehensive, holistic care. Create a comfortable, compassionate atmosphere where the relationship between the practice and patients is one of partnership and open dialogue. Encourage patient education, life style modification, and prevention as critical aspects to optimal long-term health. Provide our patients with education and resources to enable them to make informed lifestyle and health care decisions and partner with patients to minimize their risks of developing disease. To Rollin M. Johnson, M.D. My practice is dedicated to the memory of my father, Rollin M. Johnson M.D., who first encouraged me to go to medical school, saying “If you love your job, you never work a day in your life.” He was right. Despite the stress of medical school while having babies, it was still an exciting experience. My father, as an orthopedic surgeon, did not initially understand my choice of family practice when I began residency, but he watched my excitement as I delivered babies and then cared for those babies and their families over the ensuing years. I have never regretted becoming a family physician, as it is one of the most rewarding careers one could ever ask for. It is such a privilege to be admitted into the lives of families and to help them make meaningful changes in their lives. My father was also the one who encouraged me to go into private practice and, ultimately, to do it again as a solo medical practice. He would have enjoyed the hard woods used in this new office and the farm theme in the pediatric room. And, as he did at my old office, he would have come to bring us all lunch and meet my patients. My father died unexpectedly on October 16th, 2004 while riding his bike in town. At his wake, a patient we had both cared for shared a children’s book with me called “Water Bugs and Dragonflies”. 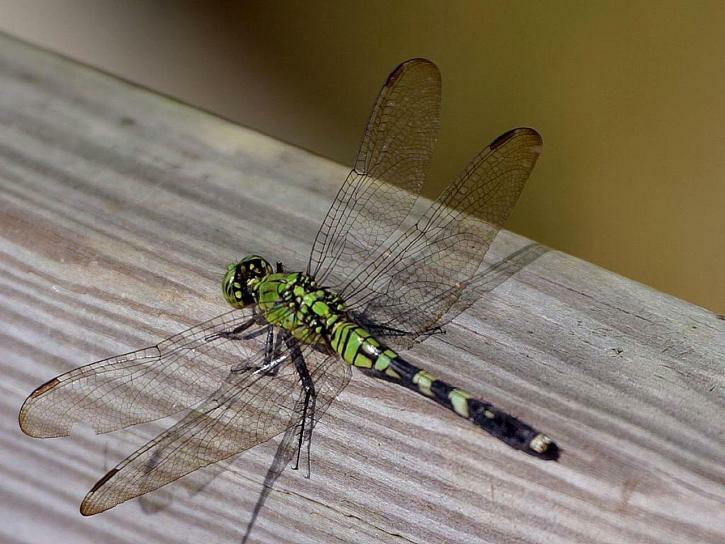 The book recounts an emergent dragonfly’s experience of moving on to a new form and a new world. Although he is blissful in his new existence, he cannot go back and see his water bug friends — they would not recognize him. Nor can he cross back into the water to show them what he has become. That visual image has helped me to reconcile the untimely death of my father as I picture him watching us from his new vantage point. This is the reason I have chosen the dragonfly to represent my new medical practice. My father was an amazing surgeon, but an even more amazing human being. He loved hearing the stories people had to tell of their lives and he continued to care for his patients even after his retirement. Rollin Johnson was a man of deep faith, a committed grandfather and member of his community. It is with great emotion that I dedicate my new practice to his memory and his contributions to the world. The Atkinson Building is a state-of-the-art 13,500 ft2 sustainable building designed by architect Ann Marshall of Kuhn Riddle, with construction completed in December 2013 by Wright Builders, Inc.
Dr. Atkinson envisioned an office that would be comfortable and not sterile, safe and accessible, with spaces designed to encourage collaboration between medical personnel, while ensuring privacy in exam rooms. The Design and Engineering team was faced with the challenge of an efficient, welcoming medical office building utilizing environmentally sound construction within a limited budget. They succeeded beyond expectations! The walls are double stud filled with 12” of cellulose insulation for an R-40. (recycled newspaper). The slabs are insulated to R-22. The roof and ceiling insulation is R-60 for the assembly. Triple-glazed argon filled windows reduce heat loss yielding an R-5 window unit. There are many large windows allowing for natural illumination and views where appropriate. South side roof is covered with 36,000 watt solar panels, generating electricity to provide 40% of the energy needs for the building. The building has a state of the art energy recovery ventilation system ensuring high air quality and energy efficiency. Fiber cement exterior siding has recycled cellulose content. Boral exterior trim is 70% recycled fly ash, 30% acrylic. State of the art Mitsubishi City System heat pumps, SEER approximately 27. Recycled (rubber), rapidly renewable (cork), and regional materials were used where possible. High efficiency appliances, heating/cooling and lighting systems. All materials used were low VOC, all interior finishes and paint VOC and formaldehyde free. Water saving devices include: low volume metered faucets and high efficiency toilets. Whenever possible, the vendors, craftspeople and materials were obtained locally. Water filtration and water bottle-filling station. The waiting room has Ultraviolet/UVC air purifiers. Rain water collection, Composting and Single Stream Recycling. 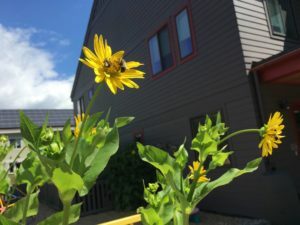 The site has no environmentally sensitive areas, and drought resistant, native landscaping materials were designed and specified by New England Environmental. Occupancy sensors turn off lights in unoccupied areas. Outdoor lighting has timers and no off property light pollution, called “Dark Skies” compliant. Atkinson Family Practice provides exercise equipment and showers for the employees, as well as financial incentives for carpooling and public transportation, and walking and/or biking to work. Robert Godfrey from Godfrey Siegel Signs Mary Mansfield from BayColony Development Co.
would assist you in reaching your goals. The $250 award is based on need and application must be resubmitted annually. Open to students from local high schools. For a young woman graduating from high school – must be enrolled for the coming academic year in a four-year college with an interest in pursuing a healthcare profession. Submit one or two short paragraphs explaining why you are interested in health care professionally. Not based on need. Chosen by Atkinson Family Practice staff with student name blocked out. Do not mention if you are a patient of the practice. Renewable if student remains full-time and in good standing at their college. Applications must be received by May 15th of each year and are awarded in June at high school awards’ presentations. 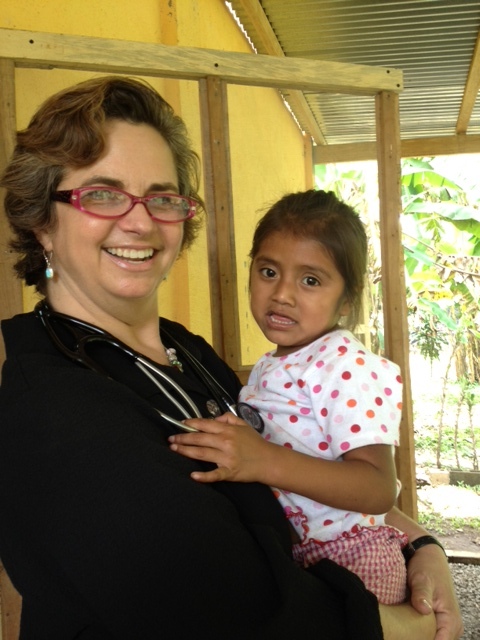 Through Partners in Development, Atkinson Family Practice is sponsoring Esther, a little girl and her family in Guatemala. Atkinson Family Practice are proud sponsors for the Trillium Trogs, an Amherst FIRST Lego League Team. Team Coach Steve Atkinson hosts 8 local children who work on learning to program robots, researching a scientific topic and designing a technological solution for it, and learning teamwork and gracious professionalism. The local tournament is in December. 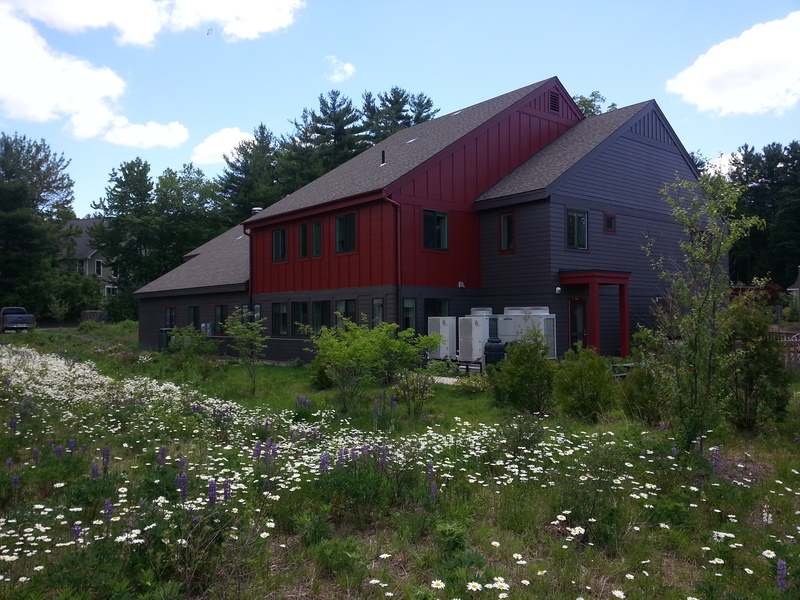 We are proud sponsors of the Amherst Survival Center, and contributed a three year sponsorship to their construction goals.